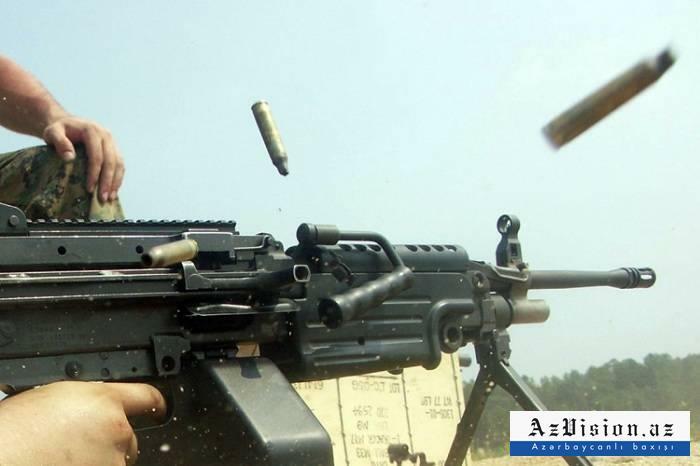 Over the past 24 hours, Armenian armed forces have violated the ceasefire along the line of contact between Azerbaijani and Armenian troops 25 times using large-calibre machine guns, the Azerbaijani Defense Ministry said April 4, AzVision.az reports. Armenian armed forces, located in Shavarshavan, Voskevan villages and on nameless hills in Noyemberyan region, in Berkaber, Paravakar villages and on nameless hills in Ijevan region subjected to fire the positions of the Azerbaijan Army located in Kohnegishlag village of Aghstafa region, in Gaymagly, Gushchu Ayrim, Gizilhajili villages and on nameless hills in Gazakh region. The positions of Azerbaijan Army were also fired from positions of Armenian military units located near the occupied Shikhlar, Bash Garvand, Ajarly villages of Aghdam region, Garakhanbayli, Kurdlar villages of Fuzuli region, as well as from positions located on nameless hills in Terter and Aghdam regions.